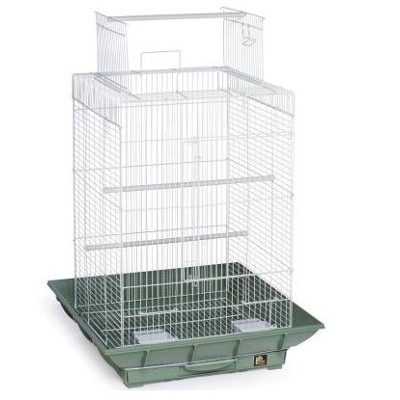 Prevue Pet Products Playtop Clean Life bird cage is a patented design that has an integrated seed guard, keeping mess to a minimum. This model also has a playtop, making it one of our most functional cages. The integrated seed guard cuts down on mess and scattered debris, keeping the cage environment cleaner. Two plastic cups and two perches are also included - cups are positioned are positioned lower to help contain mess and keep the cage area free of debris.